VANCOUVER -- Wildfires have ravaged 27 structures in Telegraph Creek, representing 30 to 45 per cent of buildings in the small northwestern British Columbia community, officials say. "That's the town. We are the community. We are resilient, we're going to lean on each other, and we're going try to continue to fight the fight as best we can," he said. They don't know yet which structures were destroyed, McLean said in the video recorded at a community hall on Tuesday morning and posted to a Facebook group created to distribute information about the wildfires. BC Wildfire Service spokeswoman Heather Rice said the two fires in the area were running parallel and she had not received any information that they'd merged as of Tuesday evening. The entire community of Telegraph Creek remains under an evacuation order. Residents living closer to Dease Lake were told on Tuesday to be prepared to leave at a moment's notice, said Boehm. "Some very high winds in the area, as well as continued dry conditions have been really challenging the efforts there," said BC Wildfire Service spokeswoman Kyla Fraser. 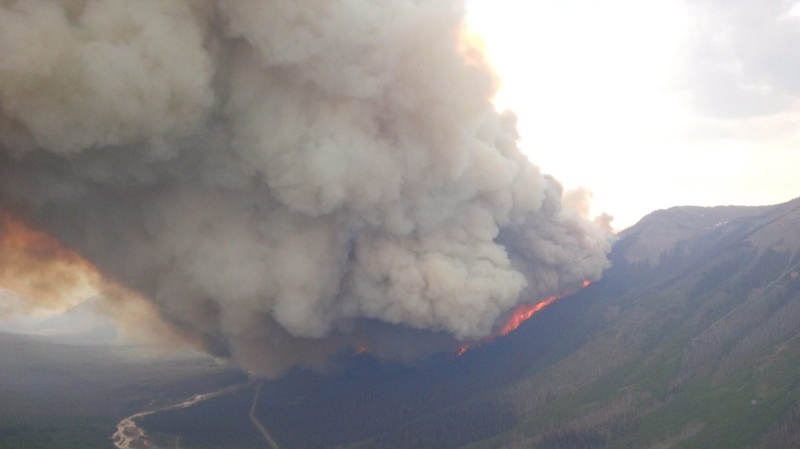 With the evacuations on Vancouver Island, fires of concern are now burning in all six of B.C. 's regional fire centres. "We have crews from Alberta, Northwest Territories and Saskatchewan that arrived last week. Last night we saw some firefighters from Mexico, as well as firefighters and support staff from New Zealand arriving," she said.